A deeply hued London blue topaz gemstone in a 6mm size is set in this quality sterling silver ring fashioned in an Art Deco period design. London blue topaz is a minimum of 1.00 carat total weight. Ring measures approx. 2.8mm wide. 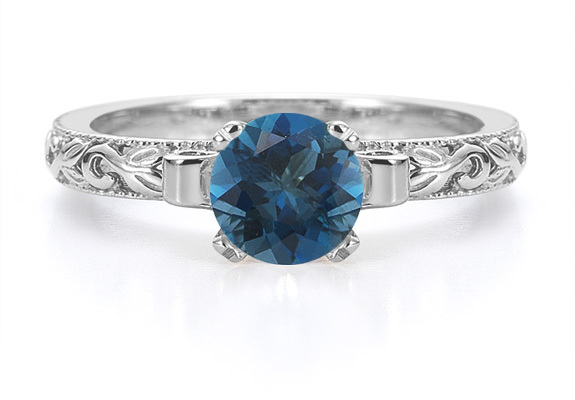 We guarantee our London Blue Topaz Art Deco Ring in Sterling Silver to be high quality, authentic jewelry, as described above.